Our first visit to Marseille at the end of January with Millésime Bio as a good excuse to get know know this lively city. Unfortunately Millésime Bio is moving back to Montpellier in 2018. Our trip to China in March and early April including the amazing return train journey from Beijing to London via Moscow and Paris. Emmanuel Macron's election on 7th May as President of France. Netta's 93rd birthday tea party at Fonab Castle followed in August for a couple of nights' stay for my birthday. Teresa May's losing her majority on June 8th after calling a snap general election to cement her power and then running a comically awful campaign. Our charity bike ride in June to raise money for Parkinson's UK. Riding from Pauillac to La Livinière we raised £6448.44. Yannick Amirault's day long party to celebrate his 40th vintage. A generally good vintage in many parts of France. The growing revolt against sexual harassment. The increasing opposition to Brexit culminating in Lord Adonis' resignation plus the agreement promising no border controls between Northern Ireland and Eire. Prime Minister May's triggering of Article 50 on 31st March signalling the UK's intention to leave the EU before she or her 'government' had any idea of what deal they wanted or the one her divided party could agree upon. The series of April frosts that hit many parts of France including Bordeaux, Chablis, the Loire and some parts of the Languedoc. The continuing and growing problem of Esca in European vineyards. The damage being already caused by the Brexit process with an especially bad effect on the NHS and the fabric of our society. The continuing attack on democracy by the UK's government and the right-wing press. Bourgueil's famous market in the centre of the town. La Nouvelle République reported (26th December 2017) on a row in Bourgueil over a proposed shop run by a Saint-Nicolas-de-Bourgueil producer in the centre of town selling their wines. The NR report that initially there was no objection from Appellation Bourgueil to the shop but when it was discussed at the Conseil Municipal, there were objections from the Syndicat explaining that they would not welcome a shop selling wines from the neighbouring Saint-Nicolas-de-Bourgueil appellation, especially as they are hoping to turn the old Abbaye de Bourgueil into a wine musée. 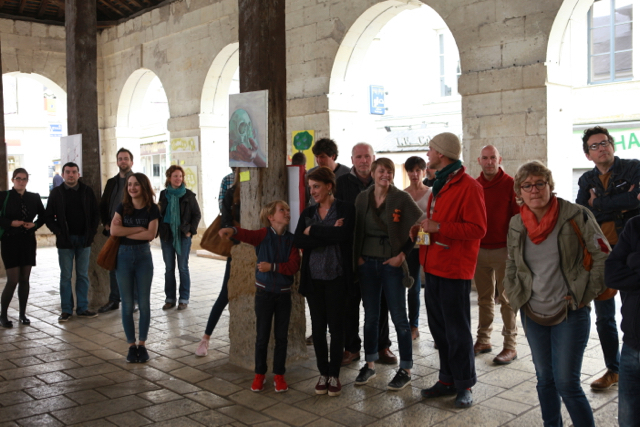 If that plan went ahead, the Saint-Nick shop would be on the walking route between La Maison des Vins and the Abbaye. 'Inscrite à l’ordre du jour du dernier conseil municipal, la question paraissait bien anodine. 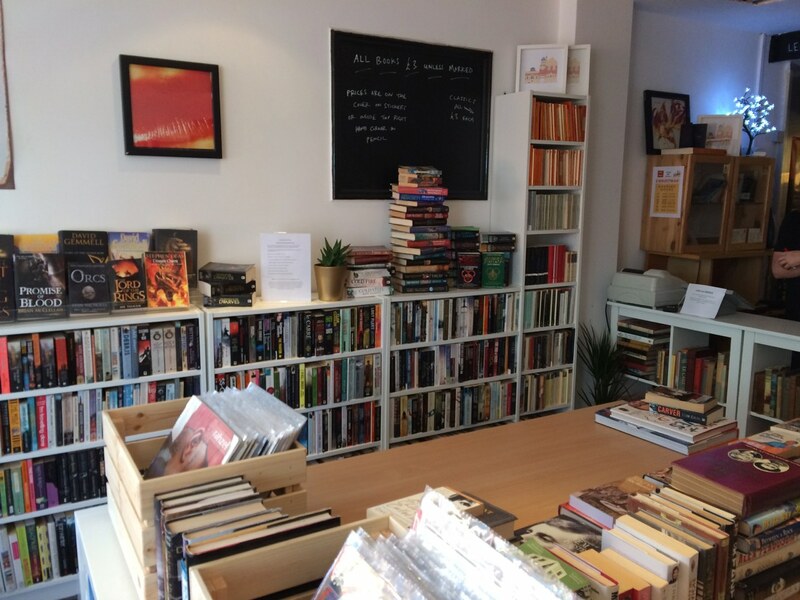 Il fallait répondre à la demande de location d’un local commercial appartenant à la municipalité pour en faire un point de vente de produits régionaux. 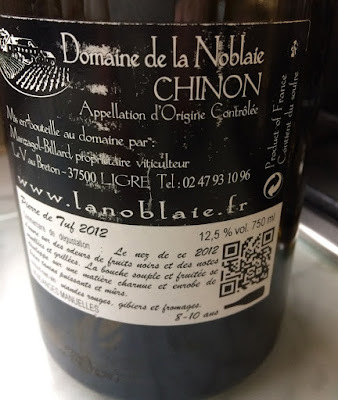 Quant on sait que ce local est situé en plein centre-ville de Bourgueil et qu’il serait destiné, entre autres, à commercialiser les vins d’un vigneron de l’appellation Saint-Nicolas-de-Bourgueil, on comprend tout de suite que sa simplicité n’était qu’apparente. Cette location pouvait être un atout supplémentaire dans l’attractivité commerciale du centre-ville, alors que de nombreux magasins ont du mal à retrouver preneur. Et consulté par précaution, le président du Syndicat des vins de Bourgueil n’aurait pas fait d’objection. Or, au fur et à mesure que ce faisait l’étude du dossier, au fil des interventions, l’opposition à ce projet de location s’est formalisée. Being away for Christmas has meant that I haven't been choosing all the wines, so there hasn't been a great emphasis on the Loire. 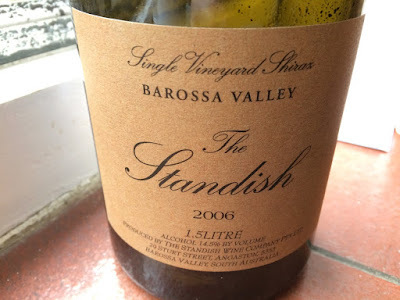 For Boxing Day dinner we had a magnum of 2006 The Standish, a single vineyard Shiraz from the Barossa Valley. It was very well balanced – concentration of black fruits but not a head banging Ozzie Shiraz with some freshness in the finish. 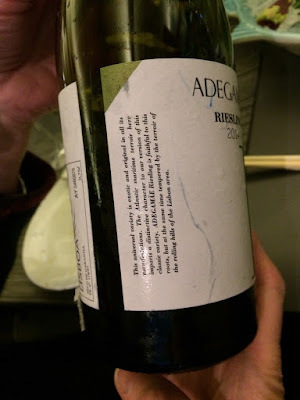 Decidedly impressive and at 11 years old this still has plenty of life left in it – although it was a magnum. The Standish is a 7.6 hectare vineyard planted in 1912 on its own roots. 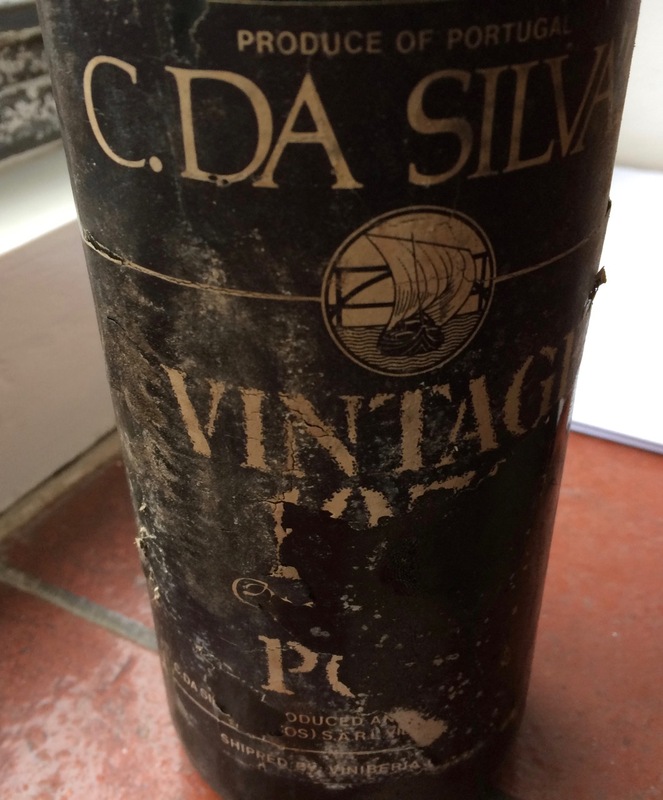 We opened a bottle of this 1970 Port from C da Silva a few weeks back. It was relatively light and I thought it was time to drink up any other bottle we have over the next couple of years or so. The bottle we opened yesterday was considerably more concentrated, more complex with a long finish. A fine bottle indeed. 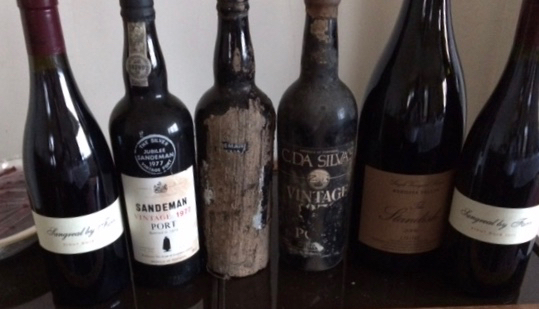 Interesting that even with vintage Port there appears to be considerable bottle variation. 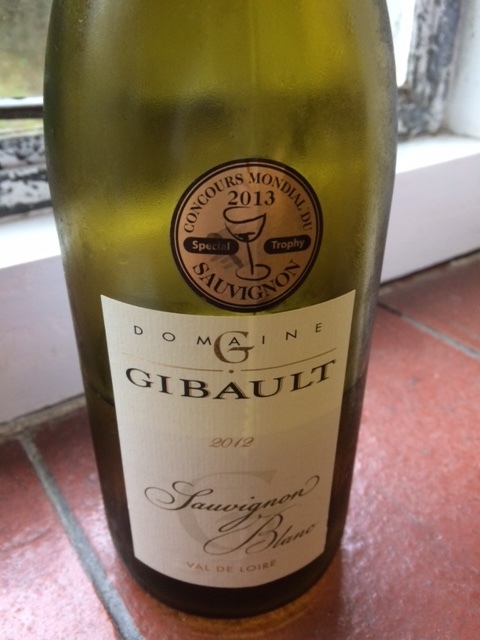 This is a rich Touraine Sauvignon from Domaine Gibault, a well established third-generation domaine in Noyers-sur-Cher run by Pascal and Danielle Gibault. 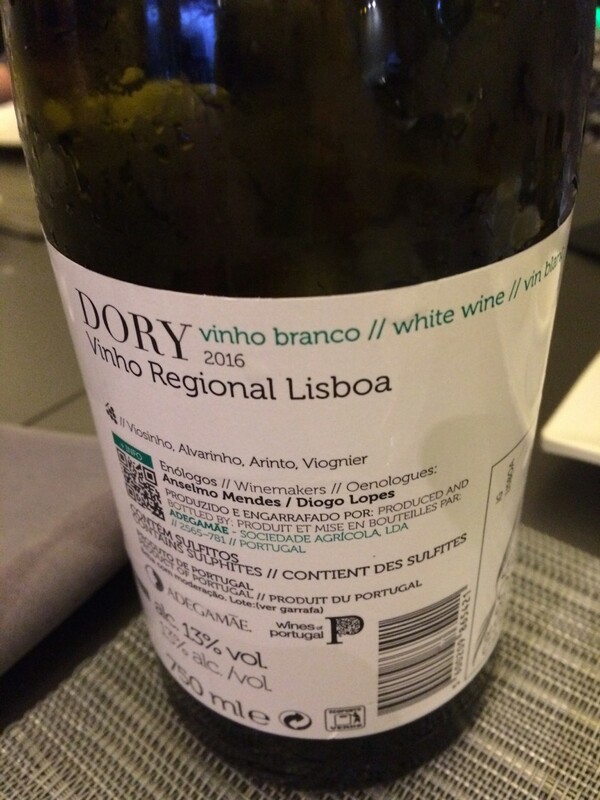 Their 2012 is a rich and ripe example of Sauvignon (13% alc) with concentration and no vegetal tones at all. There are some who think you have to drink Touraine Sauvignon as young as possible. 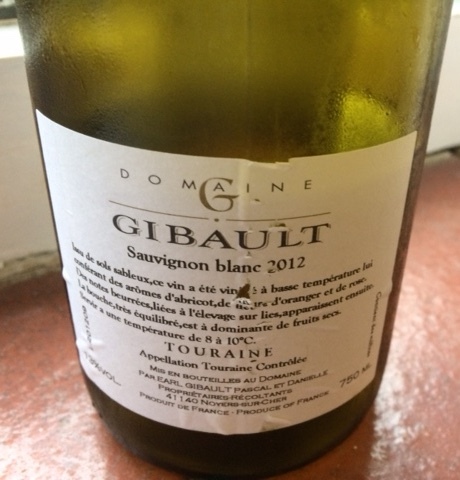 Although young Touraine Sauvignon can be fresh and attractive, good examples will age well as this 2012 demonstrates. It is drinking well now and should be good and a number more. This is really a Touraine Sauvignon to drink with food rather than as an apéro, when you might well want something crisper and more vibrant. Forecast looks decidedly fair for the next few days with the above that includes a couple of 1977 Vintage Ports. Happy Christmas! – Joyeux Noël ! 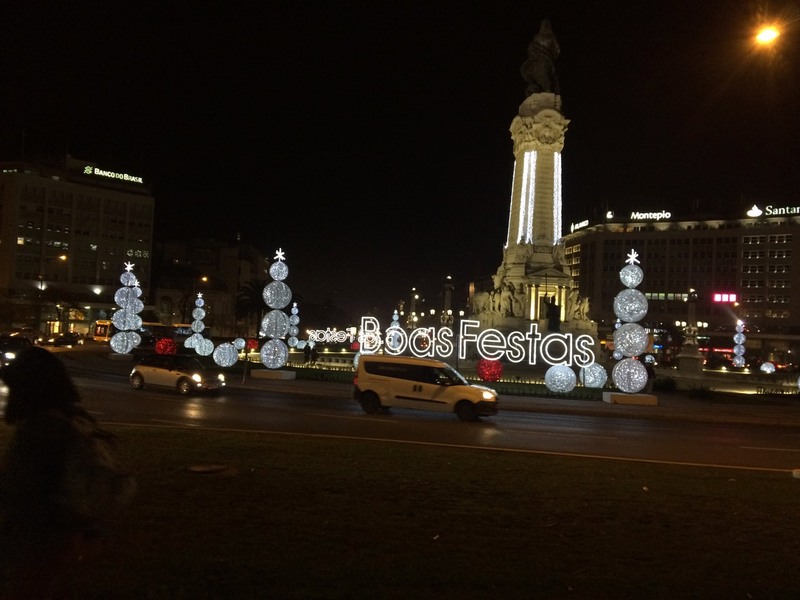 – Boas Festas! Labels: Boas Festas!, Happy Christmas!, Joyeux Noël ! 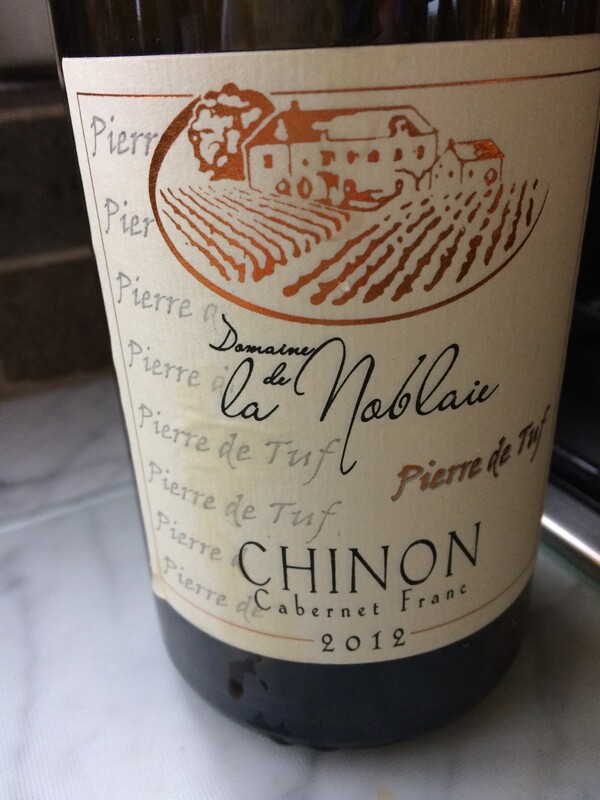 Last night we opened a bottle of the 2012 Pierre de Tuf, Chinon from Domaine de la Noblaie in Ligré. It is interesting to compare the 2012 with the 2014 Pierre de Tuf, which has just been selected as one of Decanter's best wines of the year. 2012 was quite a difficult vintage following frost and widespread mildew along with a very wet October. Although the Cabernet Franc reds of 2012 are better than 2013, there is still not the ripeness and balance that you find in the 2014s. The 2012s have quite marked acidity in the finish – probably limiting their appeal to amateurs of Loire reds. 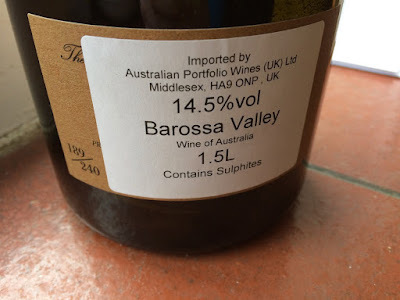 2014 vintage produced wines with a lovely balance, although the vintage was saved by a wonderfully warm autumn following a disappointing summer. The 2012 certainly needs food to soften its appeal and to mask the acidity. So an enjoyable bottle but not at the same level as 2014 or 2015. 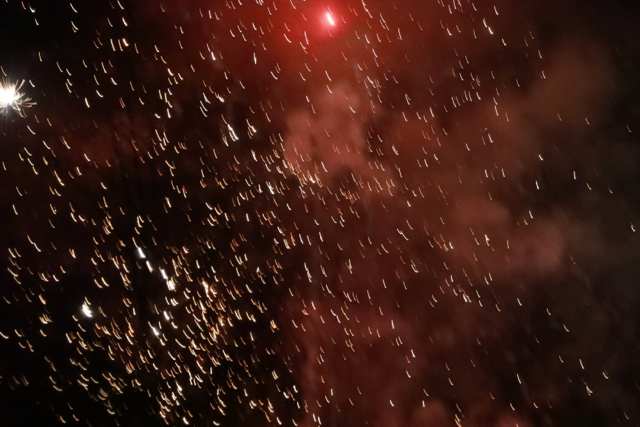 There are some that claim 2012 is a good vintage for Loire reds – I have yet to be convinced. 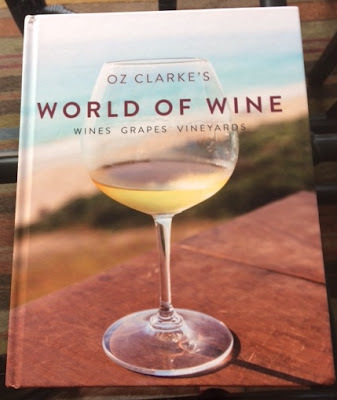 After some brief introductory sections, this latest book from Oz Clarke profiles the vineyards of the world starting with France and ending with Asia – Vietnam is the last country to be included. Inevitably in a book covering the whole world of wine the profiles are broad and general. Regrettably on page 92 Oz continues to characterise the River Loire as 'listless' 'ambling', 'caught in a reverie' and with 'children paddle in the shallows'. Although it is true that the Loire can appear lazy and benign, it can actually be very dangerous because of its current and constantly shifting sand banks. Because of these dangers swimming in the Loire is banned in a number of places including Amboise and Tours. I have great respect for Oz but this flight of fancy is dangerous nonsense. At the very least there should be a warning of the dangers the Loire can pose. Over the years the Loire has claimed many victims usually through drowning. The worst loss of life being on 18th July 1969 when 19 school kids were drowned in the Loire at Juigné-sur-Loire. Unfortunately not only is Oz's description of the Loire inaccurate but because of the dangers the river poses it is dangerously inaccurate. This is not a happy start to the Christmas for Champagne's legal eagles – or should I say legal phoenixes..... as the Champagne authorities (CIVC) have lost another major court case. The CIVC took legal action against Aldi, the discount supermarket chain, for selling Champagner Sorbet in their German stores . 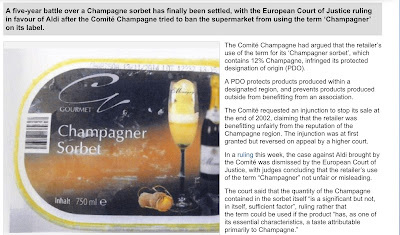 The CIVC brought the action claiming that Aldi were benefitting from the association with Champagne – the sorbet contained 12% Champagne. Initially the CIVC won an injunction to stop Aldi selling the product. 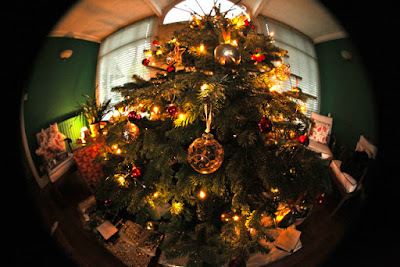 However, on appeal the European Court of Justice has ruled against Champagne. Ironically Aldi have long since stopped selling this product. Read the details here in The Drinks Business. It would be interesting to know what percentage of Champagne needs to be in a Champagne sorbet for the CIVC to accept that it can, in their view, be called a Champagne sorbet. It cannot surely be 100% as recipes for Champagne sorbet include other ingredients in addition to Champagne. One recipe I have seen calls for the Champagne to be boiled up to reduce the alcohol so as to assist freezing. Back in 2015 the CIVC failed in its attempt to force Champagne Jayne to give up her work name. As well as posting here on Jim's Loire about Andrew Jefford's fine blog on Sancerre and Pouilly last Monday I also used this as my weakly post on Les 5 du Vin, which happily provoked some discussion. 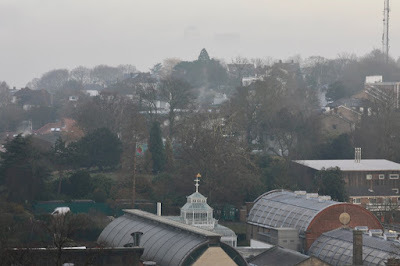 This caused me to reflect (yes I know unusual...) further on these two neighbouring appellations. 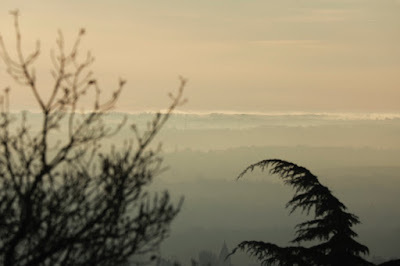 Firstly I should have made it clear in the initial post that there are fine producers in both Sancerre and Pouilly-Fumé, who despite the commercial success they enjoy are always determined to push the limits to make their wines better. I am always impressed by this as the human temptation to sit back on your success and take it easy must at times be strong. Having looked at the differences between Sancerre and Pouilly, I realised that there is another area that I hadn't considered – wine tourism. Once again unfortunately Sancerre has very much the upper hand. 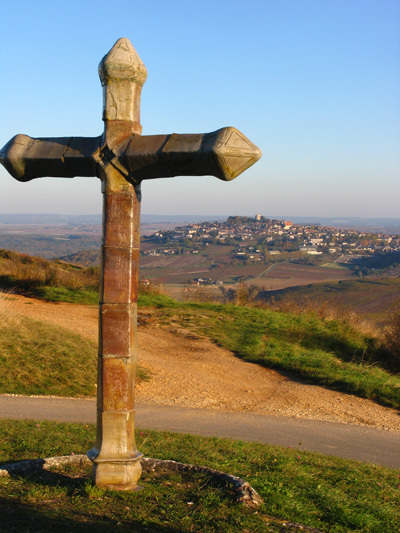 Sancerre and the appellation of Sancerre have much to attract the visitor from the bustling town of Sancerre to the picturesque villages of Bué and Chavignol – both crammed with producers and, especially in the case of Chavignol, with cafés, restaurants and an excellent hotel. In contrast Pouilly-sur-Loire is as I have already detailed unfortunately moribund – a victim of a small town being by-passed by the Autoroute A77. There remain just a few tattered vestiges of its glory days when it was a staging post on the N7 – the road from Paris to the sunshine of the Mediterranean. Apart from La Tour de Pouilly – a wine tourism centre – and visits to wine producers there is unfortunately little to attract the visitor to Pouilly-sur-Loire. Nor does it have a village like Bué or Chavignol with a concentration of producers also with a café and restaurant to attract visitors. The picturesque hamlet of Les Loges and perhaps Saint-Andelain are probably the closest but neither have a café. So again it is Sancerre that holds the tourism cards. Hit by spring frosts in both 2016 and 2107 Michel and Antonin Bedouet, organic Muscadet producers in Le Pallet, are fighting back against the frost. Bedouet Vigneron is a family domaine that has passed down through the generations. Michel Bedouet took over from his father in 1985 and two years ago Michel's son – 25-year-old Antonin – started to work with him. Badly hit by April frosts two years running the Bedouets are very keen to install an anti-frost system to protect their vines. They are planning to use an electirc cable system invented in the 1990s by a local electrician Jean-Pierre Heurteau. Heurteau comes from nearby Monnières and is now retired. To date Heurteau's system is not widely used: 3or 4 hectares in Muscadet and elsewhere 15 ha in Champagne and Chablis. 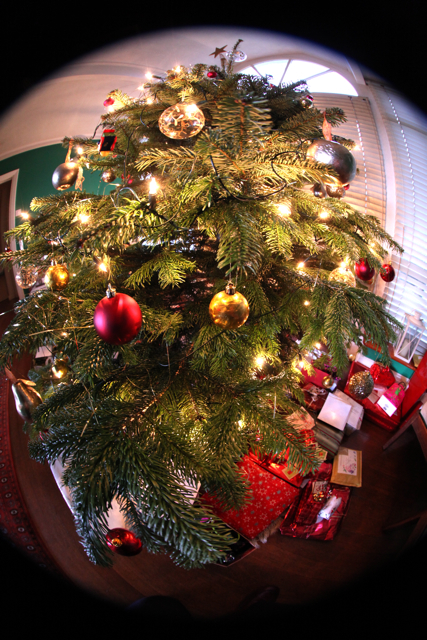 The electric current starts when the temperature falls and is said to be effective to – 3˚C. 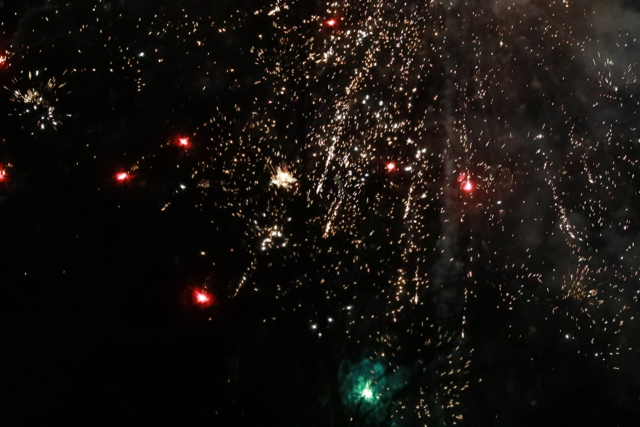 Apparently it has worked down to -6˚C in Champagne. Heurteau explains that where his cable system was installed a producer enjoyed a yield of 62 hl/ha, whereas rows not protected only produced 18 hl/ha. Apart from installation, the cost of running the cable system is between 30€ to 50€ per hectare per night. If it is effective this is a small cost. In contrast using low flying helicopters to stir up the air will cost around 1200€ an hour. The Bedouets have chosen to crowdfund their anti-frost project through Miimosa, which is a French specialist platform to raise finance for agricultural projects. All subscribers to the Bedouets' project will receive rewards depending on how much they donate. These range from 10€ where your name will appear on a plaque in their cellar through to 500€. Details are here. Please make a contribution to their fund. If we want small family producers who are the lifeblood of the diversity of the Loire to survive they are going to need frost protection. 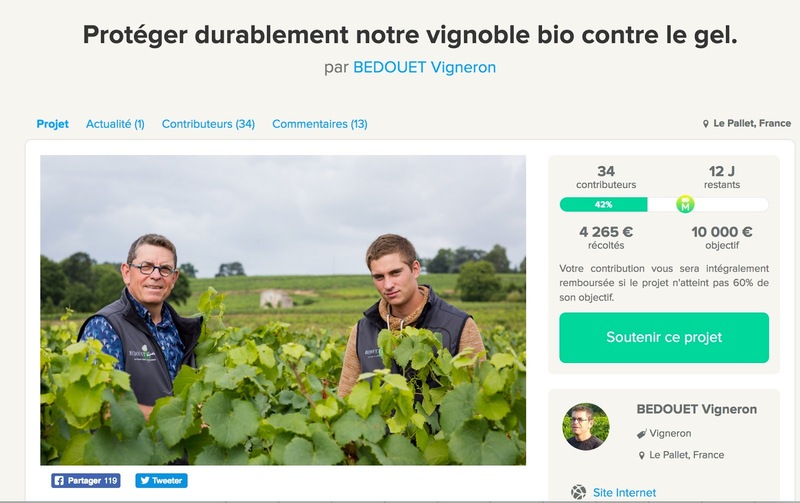 Bedouet Vigneron est une entreprise familiale dans laquelle chaque génération apporte sa pierre à l'édifice. Michel, 57 ans a pris la suite de son père en 1985 et Antonin, 25 ans, fils de Michel travaille avec lui depuis deux ans. 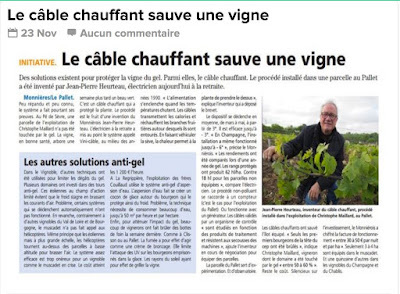 Notre vignoble est conduit en agriculture biologique, il a été sévèrement touché par le gel de printemps, deux années consécutives. C'est aujourd'hui primordial de mettre en place une protection durable contre ce phénomène climatique qui remet en cause la pérennité de l'entreprise. En effet, Antonin souhaite s'installer et cet investissement est précieux pour sécuriser son avenir professionnel. 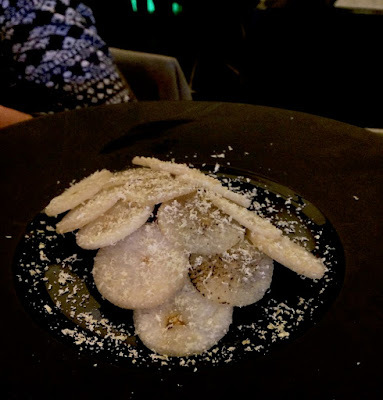 There is a very good post (Sancerre and friends) by Andrew Jefford on decanter.com today. Not a surprise that Andrew's article is good. 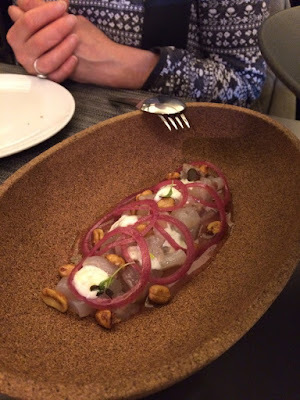 No the surprise is that this is the first time that such a long established wine writer has visited Sancerre, Pouilly-Fumé and the other Central Loire appellations. Andrew has been covering wine for over 30 years now and starting before areas like Argentina, Australia, Chile and South Africa have risen to prominence. Whatever – it is clear from Andrew's photos that he visited Sancerre during the autumn. Hopefully he enjoyed the often magnificent show of autumn colours that this most picturesque and spectacular Loire provides. As ever Andrew's observations are acute noting that good whites from here do not have the obvious Sauvignon Blanc characteristics, the differences in terroir between Pouilly and Sancerre as well as the Kimmeridgian Crescent that starts in Champagne passes through Pouilly, Sancerre, Menetou-Salon and is below ground by the time it reaches Quincy. The differences between Sancerre and Pouilly? 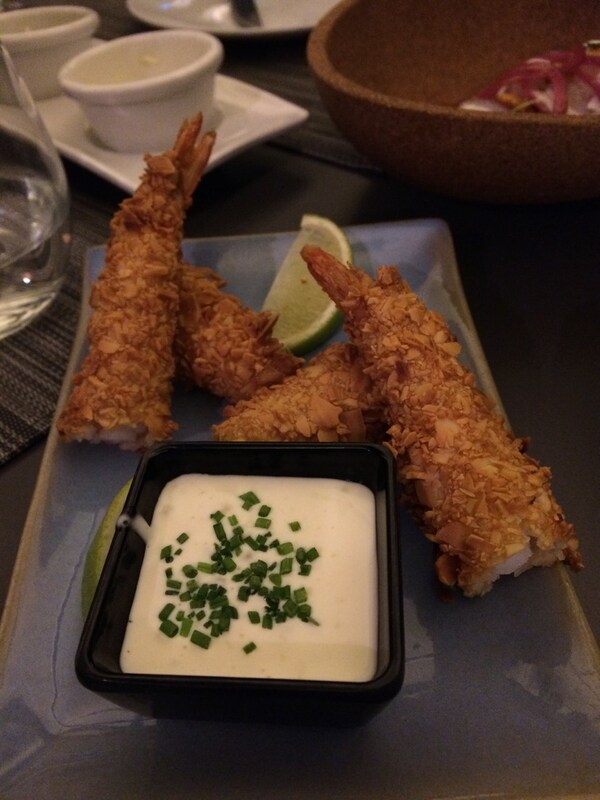 Taste-wise not at all easy. I suspect in a blend tasting it would be more down to pot luck for me. The differences that are most apparent are geographical and topographical. Sancerre clearly has a bigger area that is suitable for vines. More importantly, I think, it has in the town of Sancerre a real focus and centre that Pouilly sorely lacks. A very significant proportion of Appellation Sancerre faces Sancerre town. In contrast the vineyards of Pouilly run north to south. This probably wouldn't matter if the appellation had a recognisable centre. After all Burgundy's Côte d'Or also runs north to south but has lively Beaune to provide a focus for both the Côte de Nuits and the Côte de Beaune. 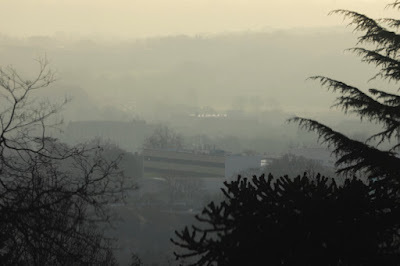 Pouilly-sur-Loire is very sadly moribund and increasingly so. This is in very stark contrast to the lively and thriving town of Sancerre. The glory days of Pouilly-sur-Loire, when it was a staging post on the Route Nationale 7 – the road southwards to the sunshine and immortalised by Charles Trenet – are very long gone. Pouilly-sur-Loire suffers from the curse of the Autoroute 77, which by-passes the town, and has gradually drained away its lifeblood. My guess is that most residents do their shopping in supermarkets of Cosne or in La Charité. Once again, in contrast, Pouilly has few obvious leaders. Certainly the late Didier Dagueneau had a strong personality with equally strong views but was really a rebel with a cause – as likely to chastise his colleagues as to lead them. Baron Patrick de Ladoucette is Pouilly's leading producer in terms of vines planted. He appears a distant aristocratic figure. In just under 30 years I have met him once – a rather strained visit and meeting with the great man at Château de Nozet. It is surely significant that when the Bureau du Central Loire was founded, Pouilly preferred for a number of years not to join the organisation. The Pouilly producers have, however, got together for their wine centre – La Tour du Pouilly-Fumé. Sancerre has its Maison des Sancerre. Finally in the Anglophone world Sancerre is much easier to pronounce than Pouilly-Fumé. In 2018 Andrew will be writing more about his visit to the Loire's Central Vineyards – I look forward to reading them. 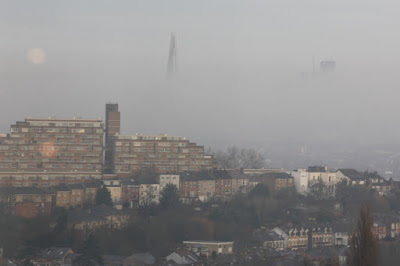 Remarkable light over London early this morning, especially looking southwards – a few photos. 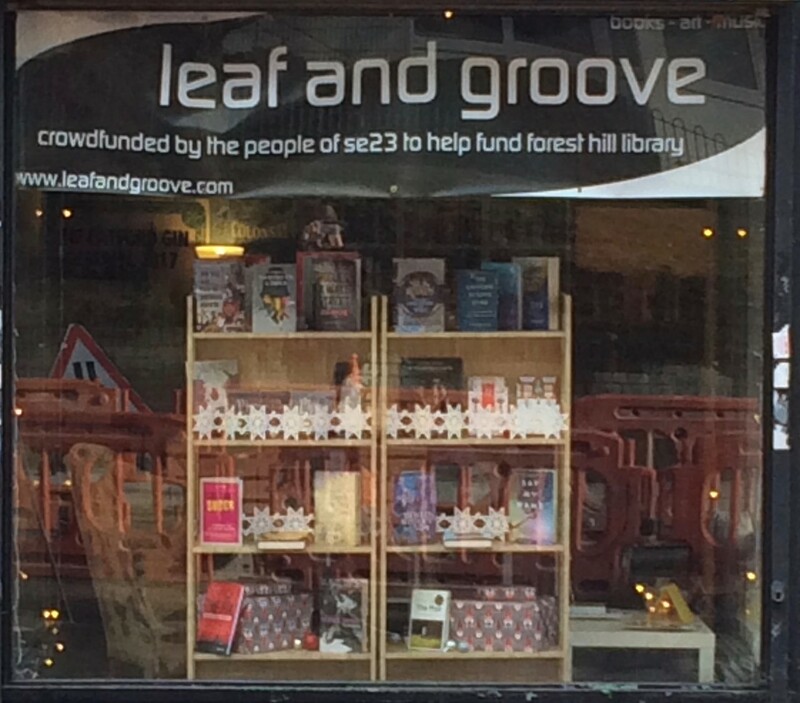 Our community shop Leaf and Groove opened on Saturday 9th December. 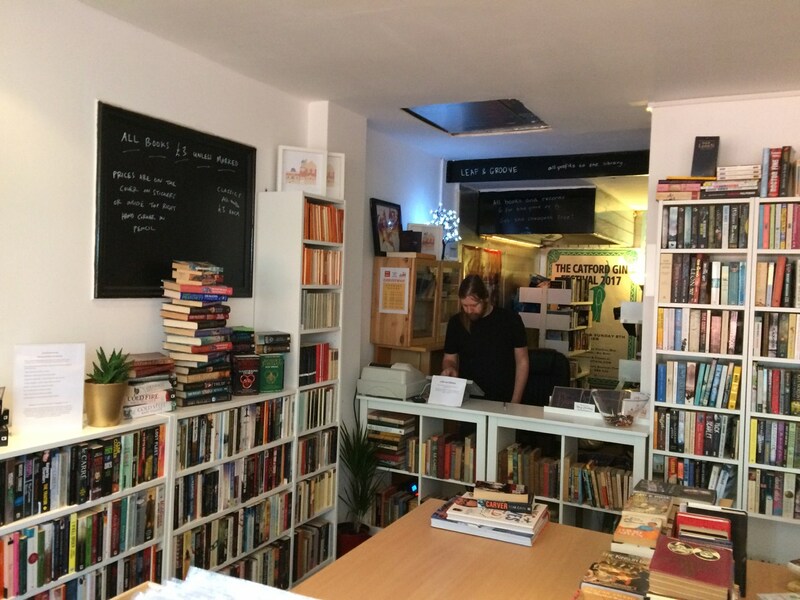 It sells books, vinyl, CDs and DVDs to raise money for the Forest Hill Library, which is now run by the community. Leaf and Groove was crowdfunded and relies on donations of books etc. As so often happens the opening was delayed as the premises that had previously been the Cabin Café and empty for some considerable time needed considerable renovation – not least humidifiers to dry the premises out. I dropped in this morning and already there are a good number of books on the shelves, although this is only about a quarter of their stock – yet to arrive including a substantial quantity from the nearby Horniman Museum. 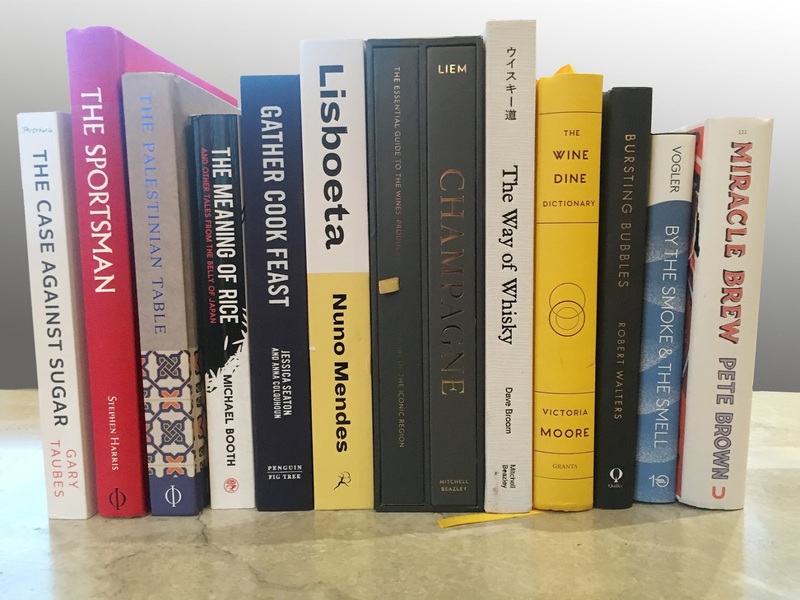 The short list for the André Simon Food and Drink Book Awards has just been announced. Congratulations to all of the authors shortlisted. 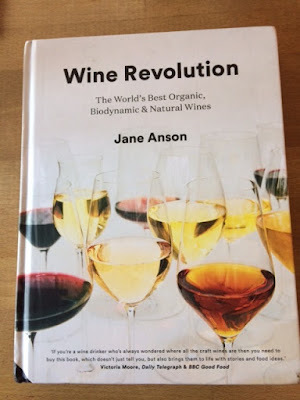 Jane Anson opens her book by citing the food revolution ushered in by the opening of Chez Panisse in Berkeley, California in 1971. 'The idea of buying locally, cooking with seasonal ingredients, supporting responsible farming has become so accepted as to barely raise an eyebrow. And yet when it comes to wine, it is still considered geeky and kind of pointless to care about the same thing. After all, aren't all grapes organically grown in a field somwhere? Well, the short answer to that is no. Just like much of the food we eat, plenty of wine is produced for a mass audience, with shortcuts taken along the way to ensure that they taste good without costing a fortune to make. So shouldn't we start celebrating the wine makers who buck this trend, and instead apply the Chez Panisse philosophy to their vineyards? The ones who treat their workers fairly, reduce their carbon emissions, farm without pesticides? Or those who plant hedgerows to encourage biodiversity, use grapes that are indigenous to their regions and add as little as possible during the winemaking process? There are plenty of them out there. 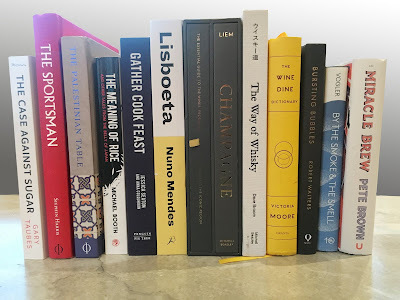 Aubert de Villaine, Elisabetta Foradori, Pepe Raventós, Jean-Laurent Vacheron, Olivier Humbrecht, Eloi Durrbach, Christine Vernay, Nicolas Joly, David Paxton...these are winemakers who should be talked about in the same breath as chefs like Waters, Barber and the rest. Jane dismisses the simple idea that it is just a question of small versus big. 'What's important is that each winemaker supports an idea of farming that is respectful of the future, and looks to capture a snapshot of time, place and culture in a glass of wine. The majority of the book covers wines and producers that meet Jane's criteria. It includes organic, biodynamic, natural, orange and low intervention wines. The recommended wines are arranged by style: sparkling & fresh, crisp whites; wine cocktails; rich and round whites; light & sculpted reds; full and warming reds; and finally digestifs. The long list of photo credits include: ziolaKim Lightbody, Harry Annoni, Eric Zeziola, John Carey, Marçal Font, Rocco Ceselin and and Claude Cruells. This is a book to help you explore and discover interesting and sometimes challenging wines. 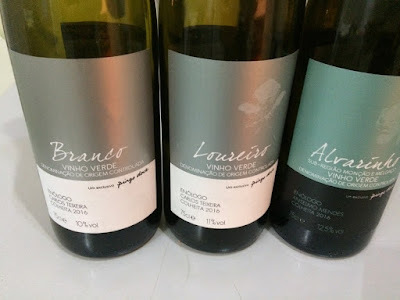 Here are three bargain Vinho Verde own label wines from the Pingo Doce supermarket. The Loureiro is also made by Teixeira. 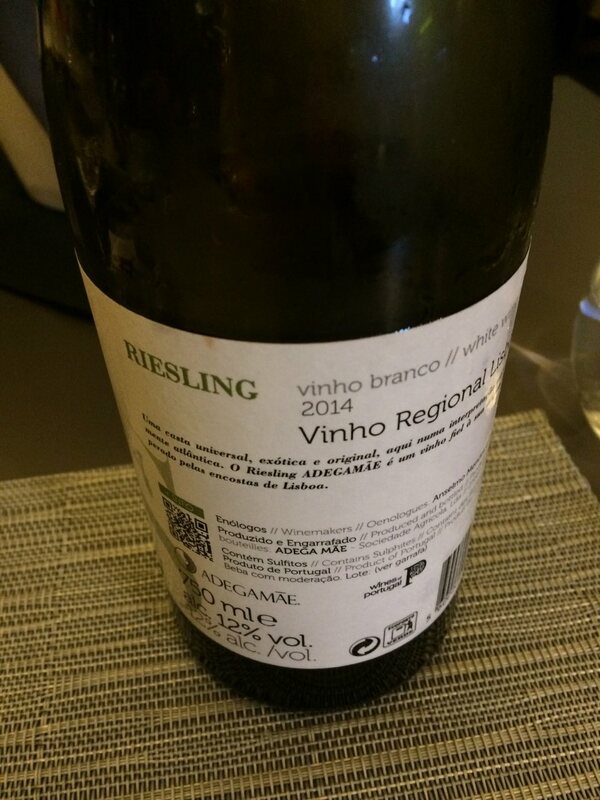 This is more full-bodied than the Branco and costs just 1.99€ a bottle. Amazing value. Finally a a firm favourite – the Alvarinho made by Anselmo Mendes for just 3.98€. OK it is not as fine or exciting as some of Anselmo's other Vinho Verdes but this is a very decent example with some concentration. 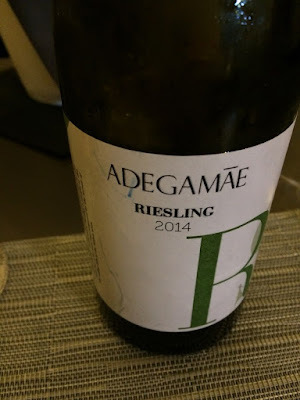 Having tried this, it is well worth exploring the rest of Anselmo's remarkable range of wines both from the Vinho Verde but also from other parts of Portugal. 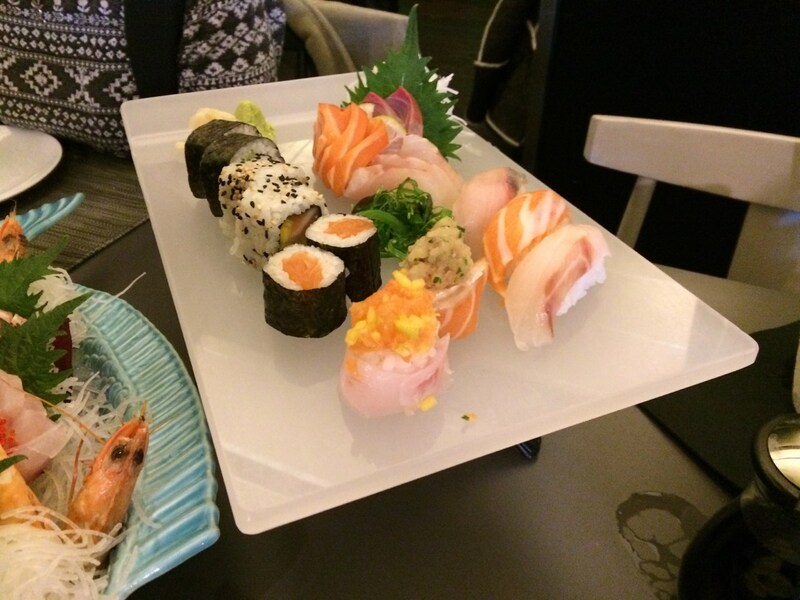 Last Thursday we went back to Rabo do Pêxe. We did our usual thing of choosing a few starters and then having some Sashimi and Sushi. 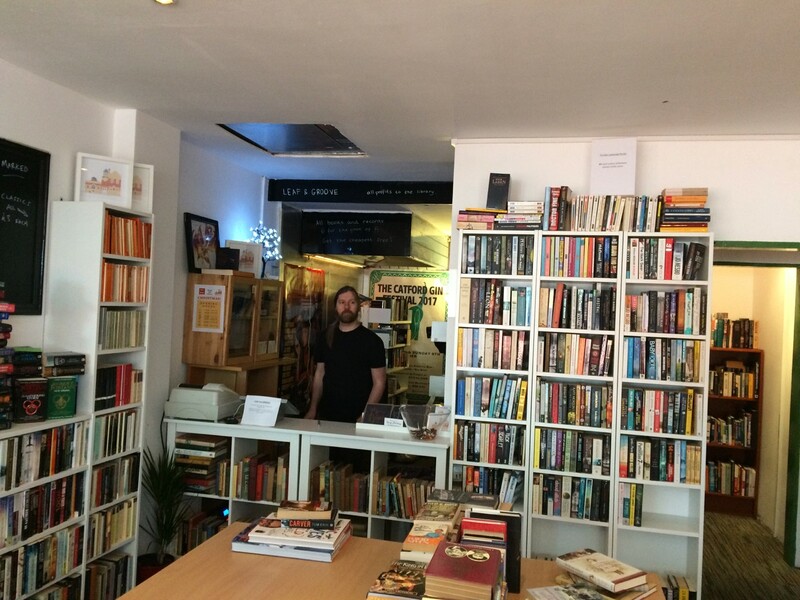 Fortunately we had booked as Rabo continuous to be very popular. 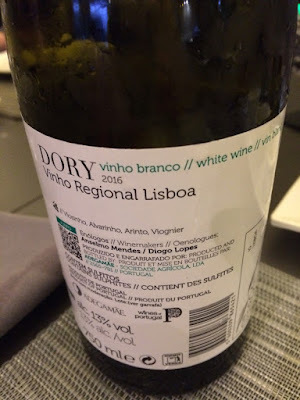 We started with a bottle of the 2016 Dory from AdegaMãe. 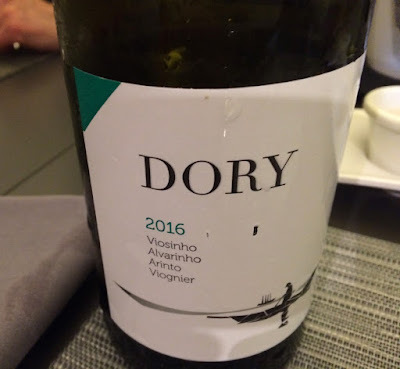 This is a blend of Viosinho, Alvarinho, Arinto and Viognier making a quite rich and concentrated white, while at the same time with an attractive freshness probably provided by the Arinto. It is made by Anselmo Mendes and Diogo Lopes. Having dispatched the Dory we decided to take a look at the 2014 Riesling from the same wine-making team. The 2014 Riesling is quite lean and crisp, so I couldn't decide whether I had chosen our two wines in the right order. The Riesling would have worked with the prawns and scallops but not with the duck. 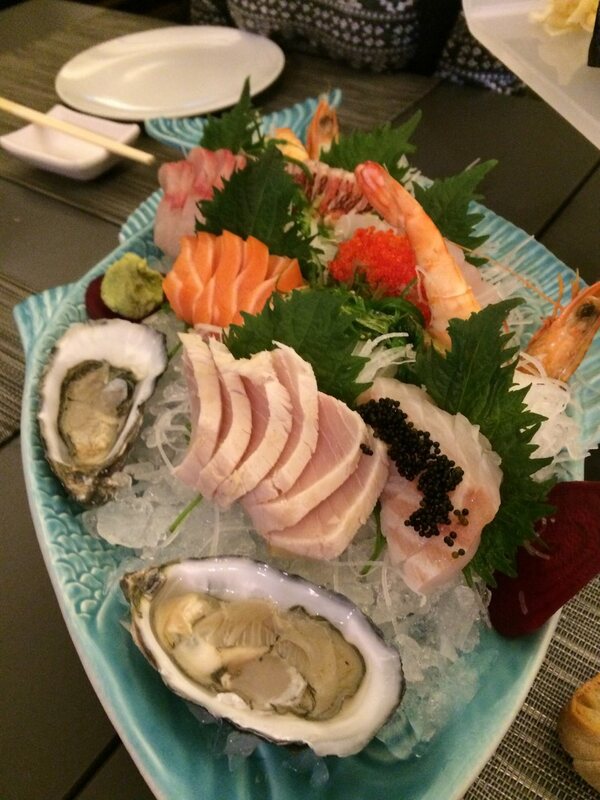 while the Dory could have gone with the sashimi and the sushi, although the Riesling happily paired with the raw fish. Will have to go back!